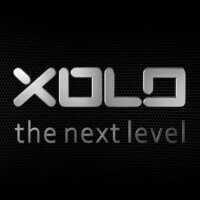 New 5-inch Windows Phone coming from India's XOLO? The Zauba.com website provides users with import and export data for products and materials coming into and out of India. It also is a good place to find information about future phones and tablets that are being sent into the country for testing or for sale. A current look at the site reveals that shipments from China have landed in India, containing a new 5-inch Windows Phone from India's own XOLO, dubbed the WIN Q1000. The details that are included on the site tell us that the XOLO WIN Q1000 will feature a 5-inch screen and has dual SIM capabilities. The GSM phone is valued at $87 USD, and shipments of 5000 arrived on both November 12th and on November 24th. Back in September, 2000 XOLO WIN Q1000 dummy units arrived in India, valued at $3.85 USD each. Earlier this year, you might recall that the XOLO Q900 made some noise, weighing just 100 grams. That made the device the lightest Windows Phone model produced so far. As for the new handset, we will have to wait to catch a glimpse of the specs to see whether XOLO was able to keep its new flagship Windows Phone powered handset so svelte. Its seems Xolo win q900 have good number of sells in india. I hope this q900 sucssesor have Snapdrgon 400 Cheapset.